New York: Peter Blum Edition. A 2 volume set. Volume I: The Tomb, In Search of inclues 95 color reproductions with focus on the work from 2010. Includes two fold-out pages and one tip-in. Text by Benno Tempel. 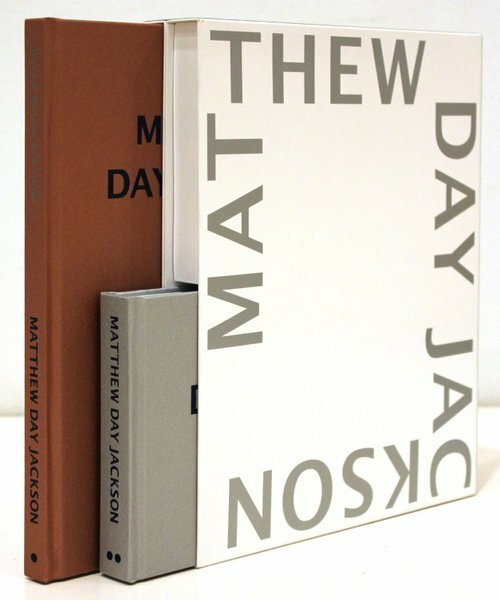 Volume II: photo documents of the film, In Search of, by Matthew Day Jackson. 195 color reproductions. Edition of 800, 318 pages total, 290 color reproductions total, two color fold-outs, one tip-in, hardbound.